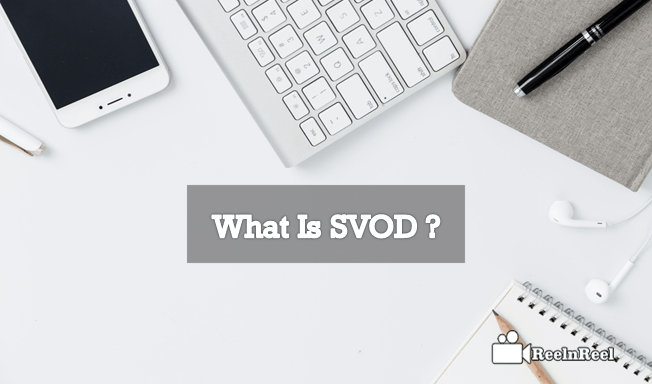 Home » Video Marketing » What is SVOD? Subscription Video On Demand is related to the monetization of the services that are providing the unlimited access to the programs with some regular monthly fee which is called as a subscription. The subscribers will have the complete control over the program and content they like to watch. That means they can flexibly view the content and they can start, pause, Fast forward and rewind the program whenever they need. What are the things should SVOD provider must know? Which factor can make a foundation to active Subscription service? The Subscription Video On Demand services has become the top destination for the consumers to access the content and their favourite programs which include the motion pictures and the television content. More than 40 percent US households are having at least one SVOD service. Consumers are more willing to pay for the SVOD services compared with another type of services to watch the content. It is a positive impact on the SVOD services and its value. SVOD allows the consumers to access the content online across the range of smart devices. The SVOD services are different from the VOD services. VOD services allow the users to access the specific content which has been paid directly by the consumers, but SVOD offers the best package of content which may be consulted by a monthly fee. The primary SVOD providers are Hulu Plus, Amazon Prime Instant Video, and Netflix. It is the largest SVOD service provider who has more than 38 million paid subscribers across the US. The consumers in the US pay Between $7 and 12 every month to access the recent new releases and licensed content along with the exclusive programming. Netflix does not insert any commercial ads as a part of its video streaming service. It had more than six million subscribers and was owned by the Walt Disney and 21st century as well as Comcast-NBC Universal mutually. Consumers pay this service around 8 dollars per month to access the television content. The platform inserts around 80 commercial ad spots per month at an average including as a part of video streaming using the Digital video recorder. The Amazon Prime Instant video costs around $99 per year as a subscription. Consumers are allowed to access the licensed content with exclusive original programming. Amazon Prime has more than 40 million subscribers. The platform does not insert any commercial as spots in its video streaming. As a part of the consumer experience, the SVOD distributors recommend the other content stream just like Netflix which is using the algorithm a part of streaming history compared the ratings of the Netflix members with similar interests towards the content. According to the recent survey reports, it was revealed that Netflix is continuously growing in the US as people prefer SVOD over the linear programming that goes with the schedule. SVOD is expected to fetch more development in future. What about the other home entertainment providers and their revenue and how SVOD had impacted their income stream. There is some loss of revenue for the other home entertainment providers due to the quality content provided by the SVOD service with low pricing range for subscriptions. The online video streaming market continues to grow, and by the end of the year, more than 160 million homes are using the Subscription VOD services. It is also predicted by the marketers, i.e., in coming years the growth will be more apparent, and by 2020 it will reach 300 million which is a two-fold increase. The providers need to be on the top the play to succeed with the SVOD. The most important thing that providers need to consider is the strength of the service. They need a deep research to know the subscription strength to withstand the competition of the present market. New companies are entering the OTT space, and the first challenge they face is monetization model. There will be major differences in the type of efforts on the revenue models that are required for the OTT platforms to get successful. So, the new SVOD providers must know the prior primary line of the SVOD value and how to build the customers in a better way for their platform. The best way to secure the subscription levels for the SVOD is to provide some valuable content if it was not yet released. They need to understand the niche they are going to target with their services. It helps to deal with the customers in the long term. The SVOD providers must know about the viewers demographic and whom they are targeting based on age, geographic area and the total budget they are planning. Basing on this information, you can target your service and subscription. Pricing is always mattered in this busy world because there is a huge competition in SVOD services. So, providers must understand their customers and what type of content they would like to get for their expected price. This small point will assign you a high rate of success in choosing the better pricing. The primary goal of any SVOD provider is to retain customers. After the providers are done with the necessary groundwork for the Subscription Video on Demand services, they need to look for the subscription service and have to maintain the customer base efficiently. The subscription terms must be very easy and straightforward to the viewers, and it must not be deterred. It must be transparent. You need to provide a broad spectrum of services to the broad range of people. Loyalty rewards always go well in expanding your customer base. So go with some free content or some free upgrades to your loyal customers to build a strong customer base. Finally, SVOD is going to be more active in the present as well as in future too.